The Phillies Nation Top 100 continues today with #52. Our mission is to assess the Top 100 Phillies players of all time using impact to the Phillies, individual achievement, team achievement, traditional stats, and analytics as our criteria. The list was compiled by Ian Riccaboni and Pat Gallen with input from the rest of the Phillies Nation staff. From this point forward, each weekday, we will reveal two Phillies from the PN Top 100 in separate posts. To view the 2008 iteration of the list of Greatest Phillies of All Time as compiled by Tim Maclom, please click here. Please check back this afternoon for #51. Signature Season: Hit .361/.392/.569 with 9 HR, 20 SB, and 127 RBIs in 1897. Our second Hall of Famer on the Phillies Nation 100, Napoleon Lajoie, the pride of Woonsocket, RI, made his debut with the Phillies as a 21-year old on the 1896 squad. Lajoie is one of the best second baseman of all-time and his early seasons with the Phillies definitely were indication of things to come: Lajoie ranks fourth among Phillies in batting average and eighth in slugging, leading all second baseman from 1896 through 1900 in FanGraphs’ version of WAR, homers, RBIs, batting average, and slugging, and third in OBP and fifth in steals. 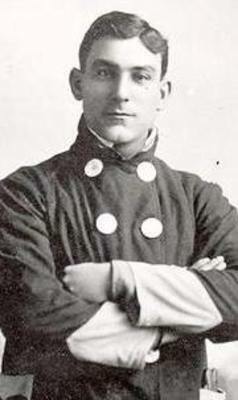 Lajoie would leave the Phillies because of a salary dispute following the 1900 season. Lajoie, frustrated that Ed Delahanty was making more money than he was, asked notoriously frugal owner John Rogers to make the same amount as Delahanty, a jump from $2,600 to $3,000. When Rogers only offered an additional $200, Lajoie jumped to the Philadelphia A’s for 1901, setting a still-unbroken single-season record for batting average of .426, winning the triple-crown, setting the then-single-season record of 232 hits. Lajoie would end his career with 3243 hits and a .338/.380/.466 line and was inducted into the Hall of Fame’s second class ever in 1937. And to think, just an extra $200 may have kept Lajoie in a Phillies uniform. And who knows: Lajoie may have been able to help some of the early 1900s Phillies teams to a pennant.